If Disney is known for anything, it’s known for being a great storyteller. 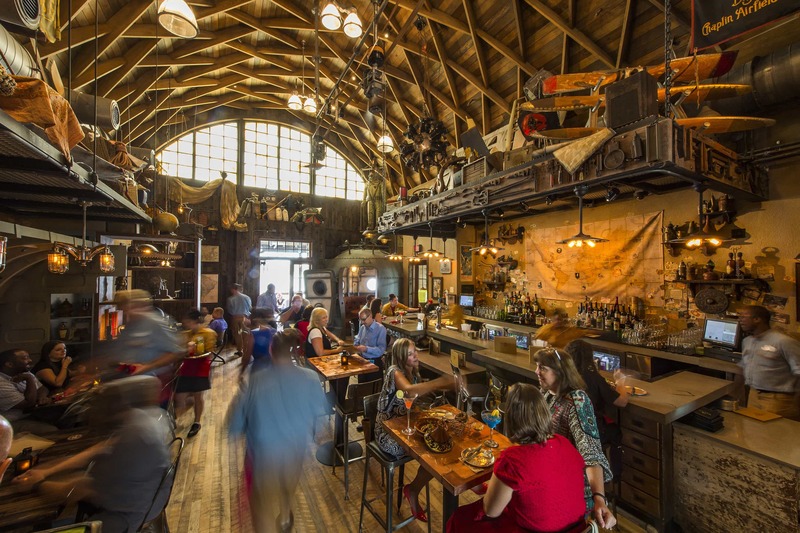 Now that Disney Springs is just about in full swing, I wanted to find out the backstory behind their newest renovation. We said goodbye to Downtown Disney and said hello to a brand new shopping experience – one that cannot compare to anything else that Florida has to offer. 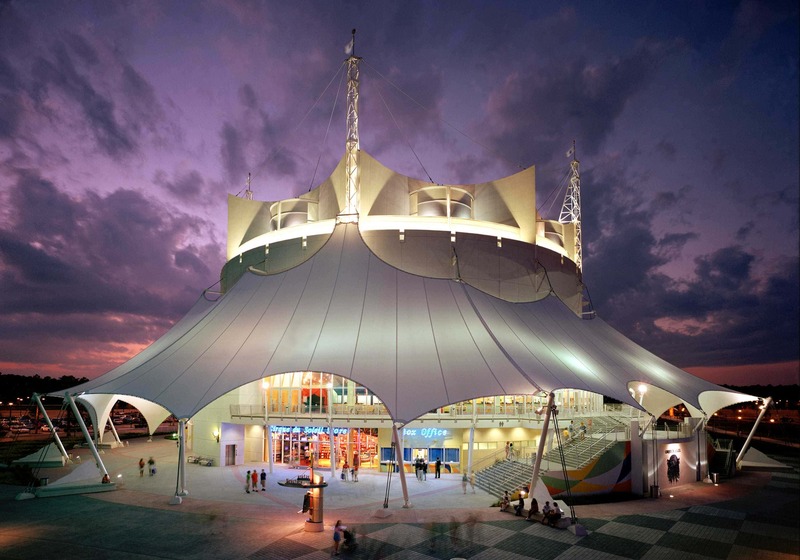 It’s a one-of-a-kind adventure that offers a mixture of dining and retail with great architecture and atmosphere. The story begins at the Springs – the heart and soul of it all. We all know that throughout history, towns would sprout around natural springs. Disney took this idea and went with it! Wait until you see the Disney’s Springs! I got a sneak peek and unfortunately cannot share an image just yet, but it’s stunning. The color of the water is so relaxing inviting – feels very Caribbean. By day, it’s simply breathtaking and at night, there will be floating lanterns and twinkling lights to emulate fireflies in the trees. Yes, the team thought of everything. A bridge connects the Springs with the Landing (one of the four sections of Disney Springs). The Landing represents the Transportation Hub. That’s why you’ll see lots of brick and steel. There’s a true “turn of the century” feel in this area. In the Landing, you’ll find general stores, specialty shops, and larger retail stores. 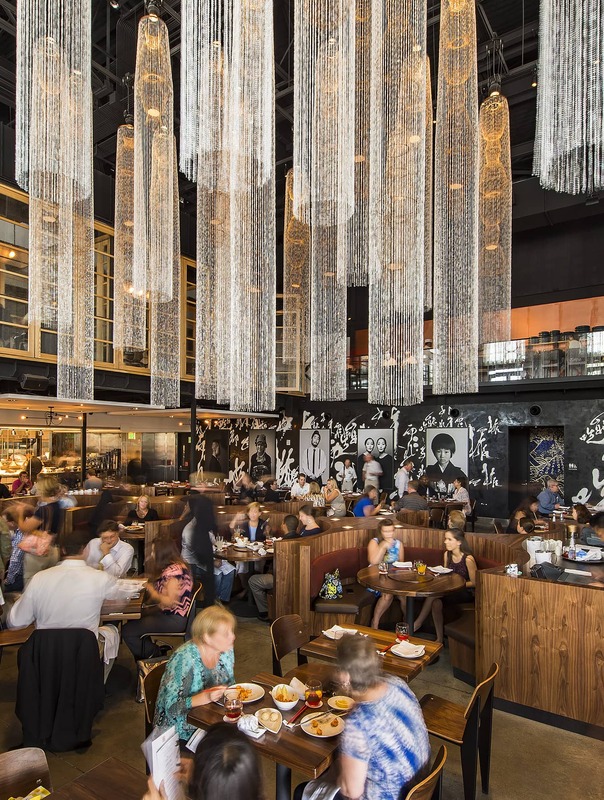 I had the chance to dine in Morimoto (pictured above) and it was DIVINE. A MUST DO in the Landing. The Town Center is not opened quite yet… but is due to welcome guests this May. Here you will find the Water Tower and the bus hub. 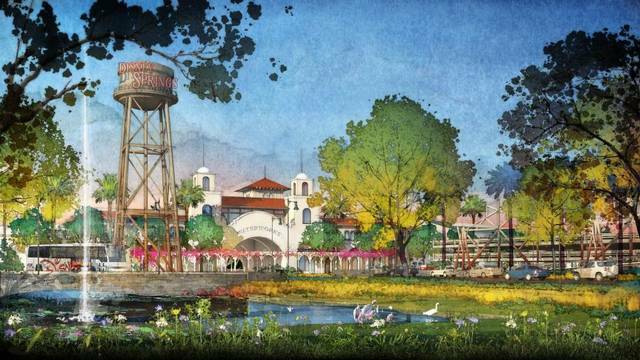 The Water Tower will act as an icon for Disney Springs and will help everyone find their way back to their hotels. These doors will become the main entrance to all of Disney Springs. You’ll find Mediterran architectures with precast elements like stone and shell in the Town Center. I particularly loved the barrel tile roofs. If you look, you’ll find 9 different colors were used to create that worn out look. Speaking of colors, the designers used 15 different colors of white while painting the buildings in the Town Center. They wanted to copy the effect of different store owners taking over and repainting a location over and over again. HOW AMAZING! Who would have thought that?! Disney – that’s who! You’ll also find fountains throughout to remind you of the Springs. Everything has to tie back to the Springs. Water elements and details will be sprinkled throughout. A soft open is expected on May 15 and by July, all stores should be fully running and operational in Town Center. Mark your calendar!! The West Side is the last neighborhood to be added to the community. Think the 1950s or so if you were to relate it to a time period. The developers considered it the “Spring Expo”. It’s what brought distant travelers to the town to shop and explore. In this area, you will find mostly entertainment and dining with some shopping sprinkled throughout. There you have it! 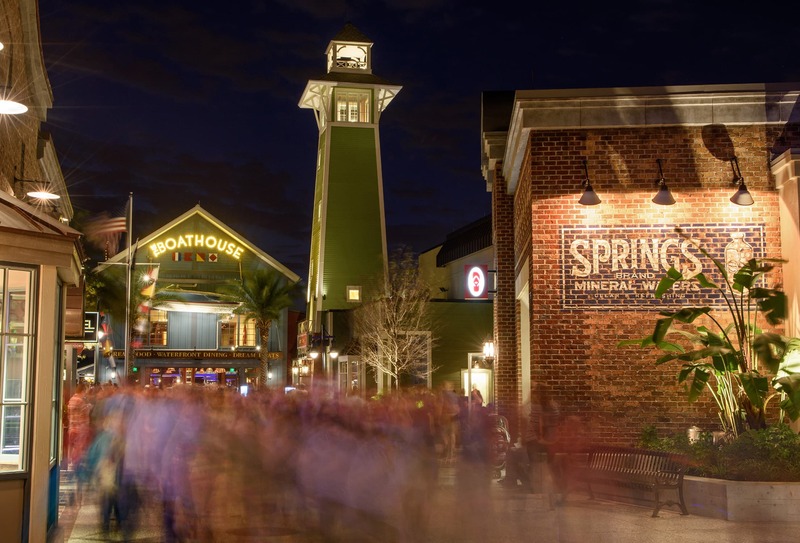 The backstory behind Disney Springs. It’s NOT just an outdoor shopping mall that was slapped together. It’s so much more!! Want to learn more? Click here to see everything that is available, open and ready for action. *Disney invited me to attend a press preview. All opinions are my own.